Let this cheeky chappie from the Chilli and Bubbles range join you in saying happy Christmas to a special someone. 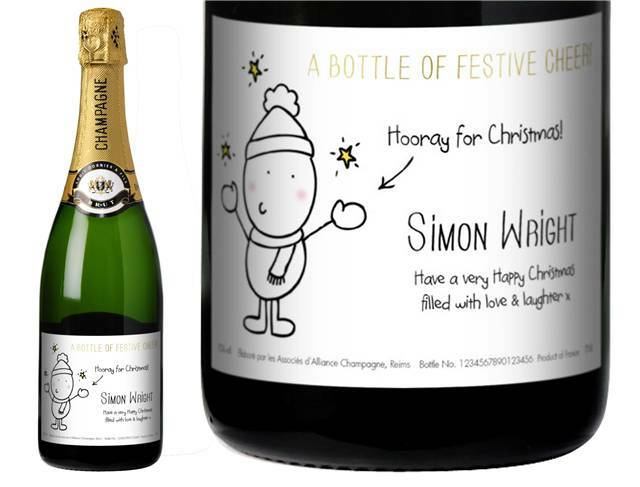 The character appears on a personalised Christmas champagne bottle label, in the Chilli and Bubbles' style, which also includes the recipient's name and a message from you. The champagne itself is a fine, crisp and fresh bubbly that will top the celebrations. And when the last drop is gone the bottle and its label will keep the memory alive. Presented in a gold giftbox.